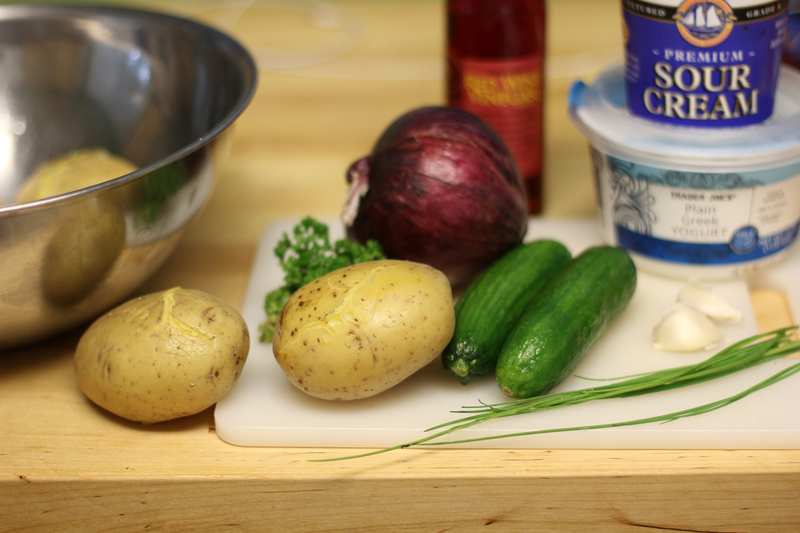 We at the No Pressure Cooker are fans of tzatziki. We've used a dill version as a dipping sauce for zucchini chips and a garlicy version as a dolloping sauce for zucchini fritters. It's just so delicious! It's tangy, it's creamy, it's amazing. 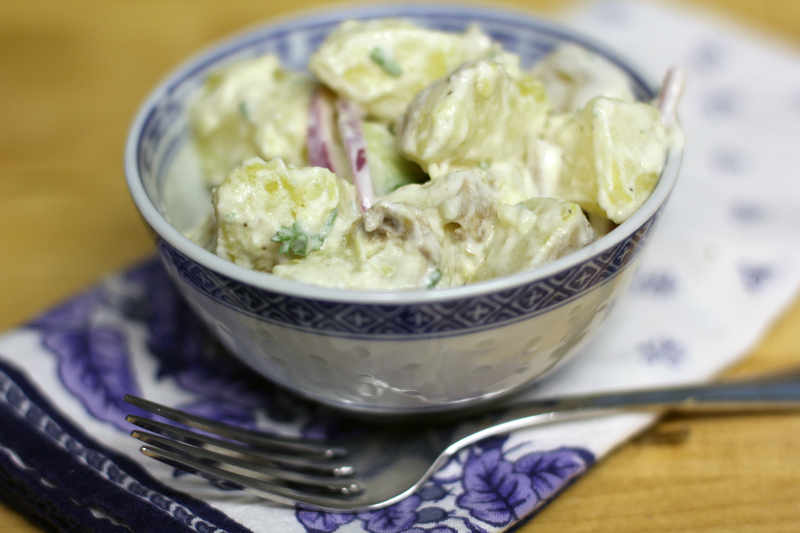 I made potato salad with a nice, thick tzatziki sauce in place of the mayo/mustard dressing that is often used. In place of the celery, this version uses cucumbers for some crunch. We ate this with grilled tri tip and more artichokes. It was really a great summer dinner. Boil potatoes with skins on until fork tender, about 15 minutes. Let the potatoes cool and chop into 1 inch cubes. While the potatoes cool, mix together yogurt, sour cream, vinegar, garlic, parsley and chives. In a large bowl, mix potatoes, onions and cucumbers. Fold in the dressing and let the salad chill in the fridge.